Previous research has shown that uncontrolled tissue repair promotes tumorigenesis, although a direct connection has not previously been defined. In a new publication in the Journal of Experimental Medicine, Dr. Li’s group describe for the first time the driving mechanisms behind the phenomenon and suggest that potential new drug targets are yet to be discovered. The key to their findings was the discovery that the proinflammatory cytokine IL-17A (interleukin-17A) plays a critical role in both aberrant tissue repair and tumor development. When IL-17A signaling was “turned up” in injured mice, stem cells found in the skin’s hair follicles (Lrig1+ cells) began to multiply in large numbers and migrate to the site of injury. There, the influx of stem cells harboring oncogenic mutations caused “overhealing” that led to the development of tumors. The researchers went on to define in detail how IL-17A signaling leads to tumor development through tethering of the pro-cancer protein EGFR (epithelial growth factor receptor). The pairing ultimately results in the growth and mobilization of the Lrig1+ stem cells. The presence and physical proximity of IL-17A and EGFR is the key, they found. A protein called TRAF4 (tumor necrosis factor receptor associated factor 4) is responsible for recruiting EGFR, thereby setting the wheels in motion for the entire signaling cascade. 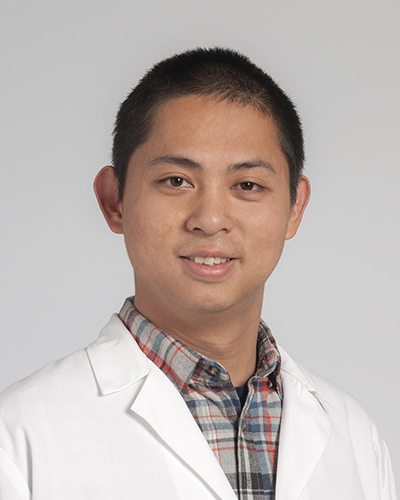 Xing Chen, PhD, is first author on the study, which was supported by grants from the National Cancer Institute and National Heart, Lung, and Blood Institute, both parts of the National Institutes of Health. Drs. Brian Gastman, Allison Vidimos, Jennifer Ko and Shlomo Koyfman provided insight into the clinical relevance for this study. Dr. Li holds the Paul L. Fox, PhD, Endowed Chair in Molecular Medicine at Lerner Research Institute.